Have you ever wished for a day where you can eat absolutely anything you want? Well that day is today. National Junk Food Day is celebrated every year on July 21. Dedicated to the foods we like to snack on, this isn’t your average cheat day. Today, you can eat junk food for every meal. 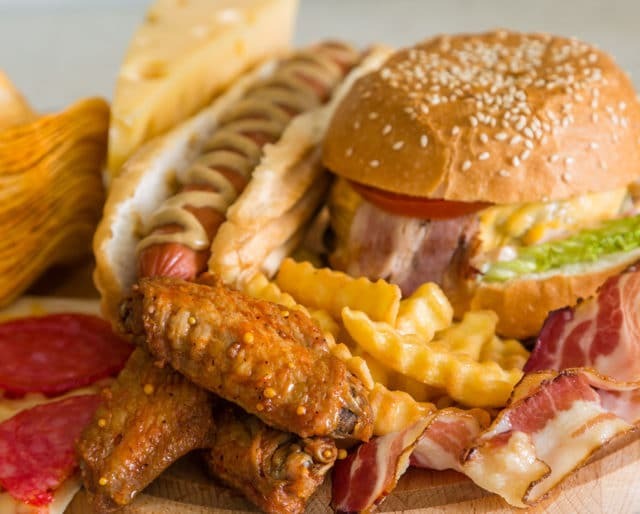 Popularized in the U.S in the 1950s, junk foods are usually, by definition, high in fats, sugars, salt, and calories. But they are also high in deliciousness! Junk food day is the perfect day to treat yourself. On this day, you’re allowed your favorite junk foods without any guilt. So go ahead and add extra cheese on that burger and go for that order of fries. Today you’re allowed! This is the easiest and most fun way to participate in National Junk Food Day. Craving chips? Pie? French fries? Pick whatever your heart desires and chow down. Today those calories don’t count! The only thing that’s better than getting to eat junk food is getting to eat it with your friends. Invite some over for a junk food potluck party. No green leafy foods allowed, just everyone’s favorite cheesy, fatty, carby foods. Do you count carbs or calories? On Junk Food Day, you’re off the hook. Skip the salad and go straight for the meat-lovers pizza. Sure, your fat-free frozen yogurt is tasty, but today get the double fudge ice cream without feeling any guilt. There’s always that one coworker in the break room eating a healthy salad while you're snacking on nachos. You don’t have to worry about them today because they’re (secretly) indulging in Junk Food Day, too.